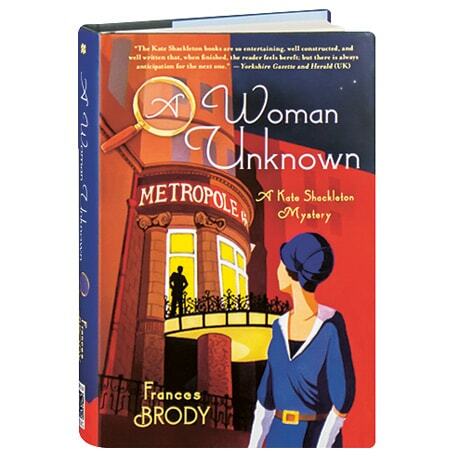 (A Library Journal Best Book of 2014) The husband of Deirdre Fitzpatrick wants to know where she really goes when supposedly taking care of her sick mother, and calls on amateur sleuth Kate Shackleton to look into the question, in this fourth book in Frances Brody's 1920s historical mystery series. Meanwhile Everett Runcie—a banker facing ruin and disgrace, purportedly carrying on with "a woman unknown"—is found dead in his room at the Metropole Hotel in Leeds. When his wealthy American widow hires Kate (who knew the man) to investigate, she is thrown into the depths of an altogether more sinister situation.